Marion Timmers was born in 1951 in Haarlem in the Netherlands. 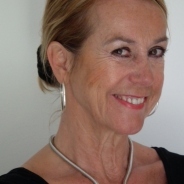 She has certificates in painting and sculpture in the Academy of Art in Haarlem since 2003. Marion loves to create. With bare hands. Her mostly feminine sculptures, express the wondrous world of body language. Her large sculptures are made out of alumina-cement. A material that undergoes a special treatment after which it perfectly resembles bronze. Most of her smaller sculptures are made out of bronze and ceramique. Her style ? Spontaneous. And a creation process that goes with the flow. You will never be sure how something dries during the process, both for clay as well as the alumina-cement and ofcourse for her paintings. During the creation process, a multitude of things happen that deviate from the original idea. This ignites further creativity. Her paintings follow her philosophy that motion = emotion = love. Marion has painted many of them in oil but over the past few years she mainly resorted to acrylic.Warm and earthy tones appear throughout her work. Marion has succesfully exhibitioned both in France as in the Netherlands.